Designs by Lisa Somerville: Why Fit In? I created my mixed media card with some of my favorite Artistic Outpost stamps, paints and stencils from DecoArt and the Gelli Arts Plate. To created the background, I applied DecoArt American Multi-Surface Satin Acrylic Paint in Poppy, Costal Waters and Cotton Ball to my Gelli Arts Plate, then added the Kaleidoscope stencil to the plate, and made a print onto Mixed Media Paper. I removed the stencil, placed the Mixed Media Paper back onto the Gelli Arts Plate then pulled a second print right over the first print. Once the background was dry, I randomly stamped the numbers from the Artistic Outpost Generation Redux plate and the Alphabet from the Secretary Pool plate in Ranger Gathered Twigs Distress Ink to add a bit more depth to the background. Stamping along the edges in Black Archival Ink, I added images from the Serenity and Generation Redux plates. The sweet children and sentiment are from the Think and Wonder Plate. I stamped the children on a scrap piece of paper in Black Archival Ink, and cut them away from the background. The text is stamped on a scrap of the background. 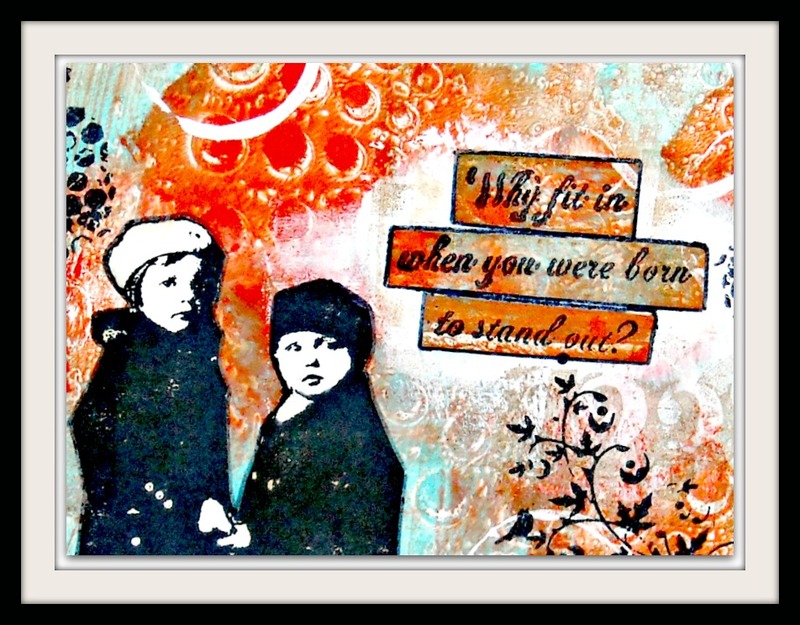 I adhered both the children and the text to the background panel using DecoArt Deco-Page. To further add to the depth of the background I dipped a paint bottle cap into Gesso and randomly added circle to the background panel. 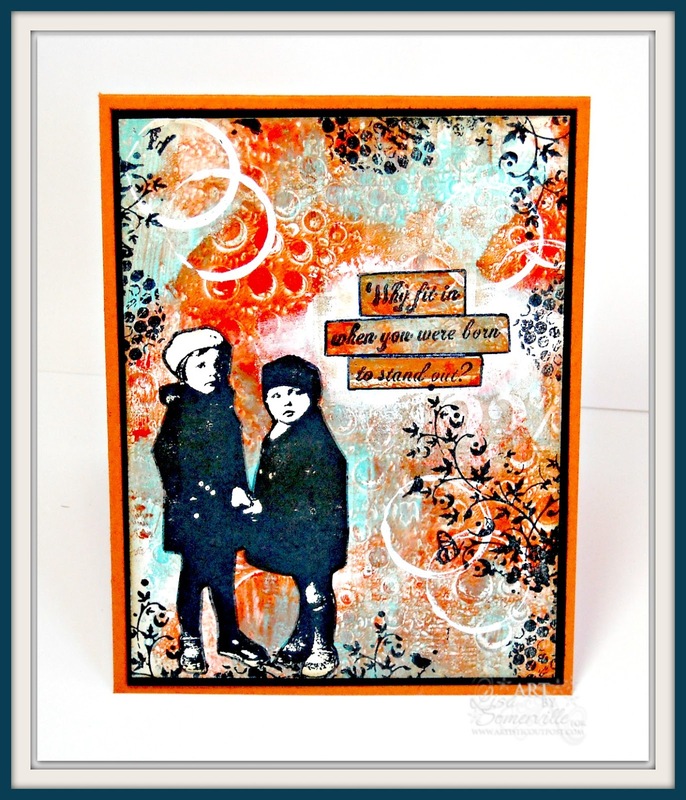 I love the depth you achieve with your gelli prints, Lisa - this is another absolute beauty, and sets off these two little favourites of mine perfectly.